Identilab is our innovative testbed to assist schools in teaching authentication and identity protection principles. Modern apps use internationally standardised open protocols to authenticate user credentials, including SAML2 for network-connected devices, and OpenID Connect for mobile devices. But how do students learn and test these protocols? 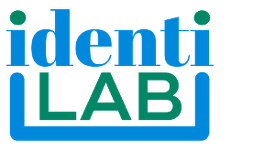 IdentiLab provides a complete modern authentication and identity laboratory for students to test coding projects and IT staff to test in-house developments. Just like Cloudwork, IdentiLab supports all the modern authentication, security and identity protocols, which ensures that apps developed using IdentiLab are completely up to date and ready for real world use. IdentiLab is entering its initial pilot phase. We invite participation from school IT departments and digital curriculum educators to help shape the facility for maximum benefit.